For visitors and business people seeking a home away from home, our Bristol serviced apartments are an ideal alternative to the more impersonal, functional hotel room. 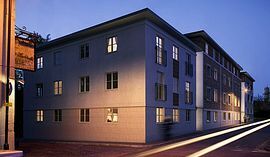 The luxury apartments are furnished to the highest specification and have been designed specifically for the comfort and flexibility of our guests' requirements. Fully equipped with every modern convenience and providing the latest in technology, our studios and 1 and 2 bedroom apartments offer the ultimate in stylish, effortless living. Whether you arrive by coach, train or air, our premier pick-up service is available on request at an additional charge. Secure car parking is also available. A short three minute walk away is the new Cabot Circus shopping centre with all the major stores, stunning boutiques and a wide variety of restaurants to suit every palate. Private outdoor terraced area for BBQs and smoking. Turn left at the Bristol end of the M32 and left at roundabout. 1 Bedroom Standard: £80.00 / £495.00. 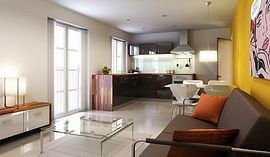 1 Bedroom Superior: £95.00 / £550.00. 2 Bedroom Standard: £100.00 / £650.00. 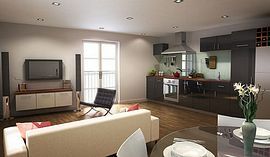 2 Bedroom Superior: £115.00 / £750.00.